→How Much Does Mice Extermination Cost? In the United States, there are three types of mice: White Footed, Deer and the common house mouse. The average mouse can carry over two hundred diseases, and can produce several large litters per year. It doesn’t take long for them to take over your home or business, causing severe economic damage as well as a trail of unhealthy germs and bacteria. If you suspect a mouse infestation, do not delay in calling a professional mouse exterminator or the situation may quickly get out of hand. Mice grow like weeds and within two months, babies are breeding and multiplying! If you have a mouse in your residence or business, he is there to eat and breed! 1.1 Why do I have Mice? 2 How Much to Get Rid of Mice? Once you are certain that there is a mouse problem, you can expect a difficult time in getting rid of them. Mice breed all year long and damage or destroy nearly everything in their paths, leaving a terrible mess behind. Damaged items will often include your food, walls, insulation, cabinets, plants, important papers, photographs, clothing and many other things. Not only do mice eat and contaminate your food supply, but they also chew on other more expensive items such as electrical wiring and cords belonging to expensive electrical appliances. This increases the risk of a house fire, especially if the mouse decides to build a nest of paper and other materials inside the wall or appliance. Mice can enter your home or building through any hole that is ¼ inch across or larger. This occurs year round but especially during the fall, when outdoor temperatures begin to fall. Common locations for mice to enter include foundation cracks, water pipe or utility line openings, and loose vents, doors and screens. Having a mouse infestation does not mean your home is less than tidy, as mice are naturally curious. They also know to look for locations where there is access to plenty of food. Once they find a warm location with access to food and water, and a safe place to have babies, they do not leave unless they are professionally removed. How Much to Get Rid of Mice? Now that you know what a huge problem that mice infestations can be, and the number of unnecessary expenses that can occur, you will likely agree that hiring a professional mouse exterminator is the most affordable choice. Before a mouse lowers the value of your property, call to schedule your initial home inspection. An initial on-site mouse inspection is required and will cost from $100 to $200, depending on your location, the magnitude of the infestation, and the number of square feet in your home or business. This amount also depends on the method you and your professional decide is best for the level of your infestation. 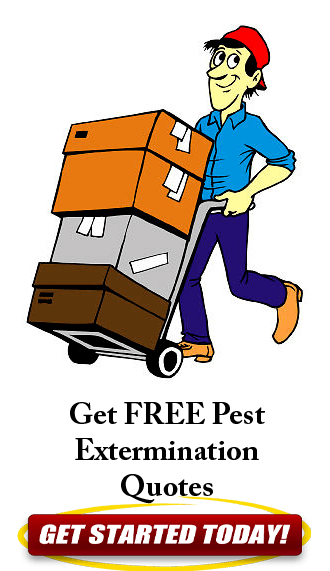 Heavy infestations could run into several hundred dollars but keep in mind, most professionals offer free estimates. Baits and traps or poisons are the most common methods used to remove mice from homes and businesses. Holes are generally sealed up, blocking entry into or away from the residence or business. While paying for the mouse exterminator is the responsibility of the property owner, some homeowner insurance policies may cover all or part of the cost of mouse removal and clean-up services. The exterminator may need to make several visits to your home or business to completely end your mouse problem. Professional mouse exterminator companies will usually perform an initial removal service, followed by monthly or quarterly follow-ups. This could cost approximately $300 to $600 yearly and there may be a contract that you will need to renew or cancel, based on your needs. Because every infestation is different, you will need to speak with a professional as soon as possible, sharing any information and concerns you might have. There are usually several payment options available and your exterminator will be glad to work with your insurance company as well.